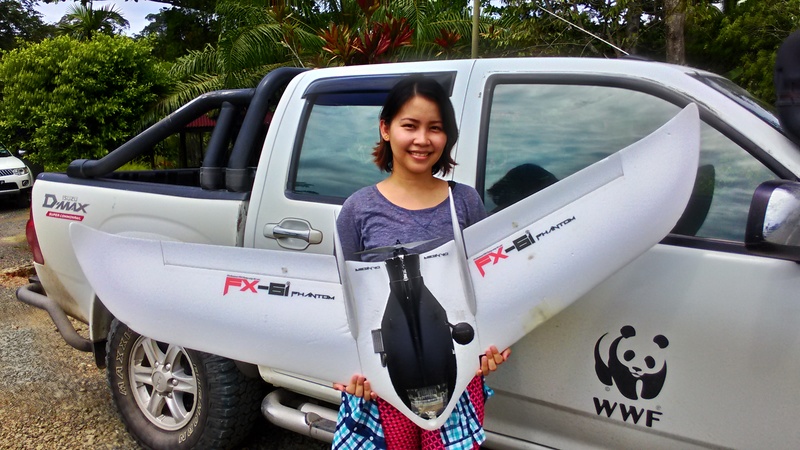 Dona, WWF Sabah orangutan research program leader using drone to detect orangutan nest. This type of mission require the drone to fly as low as possible to get better resolution images. We are flying at 80 to 100 meter and the result is quite promising. According to her, our drone spot more orangutan nest than the very expensive and high risk helicopter survey, for which has been the SOP for most researcher. We are currently developing a new multirotor drones which can carry a 24 MP micro 4/3 camera and fly for 12 KM. We are optimistic that our new drone will complement helicopter and ground survey very well. 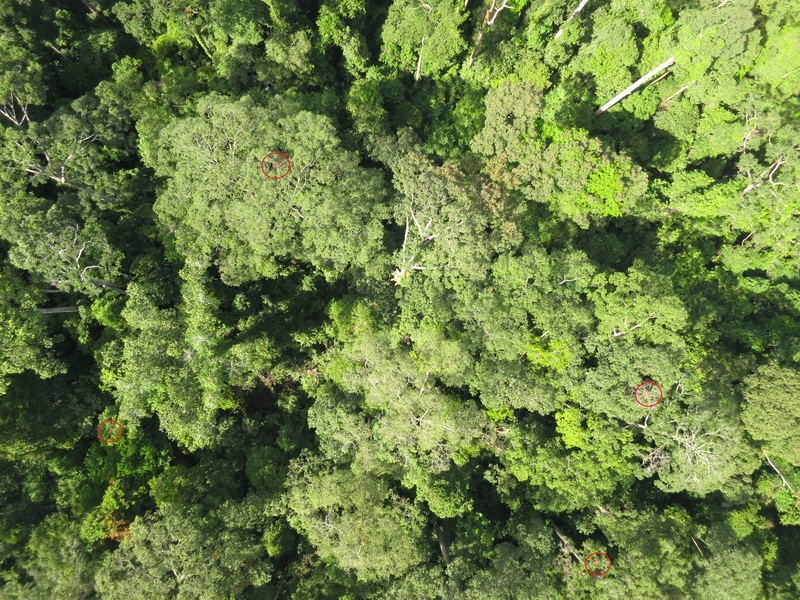 The following images show orangutan nests found in one of our flight mission images.